The main problem facing many Hearing Care Professionals today is competitive pressure which results in greater difficulty attracting consumers. To meet this challenge, it is important to differentiate your business from the competition and ensure that as many people as possible enter your clinic and leave with a hearing aid. Signia offers the only hearing aid portfolio that can truly make you stand out from the competition, attract new consumers, and satisfy them with proven audiology​ and convenience in everyday use. 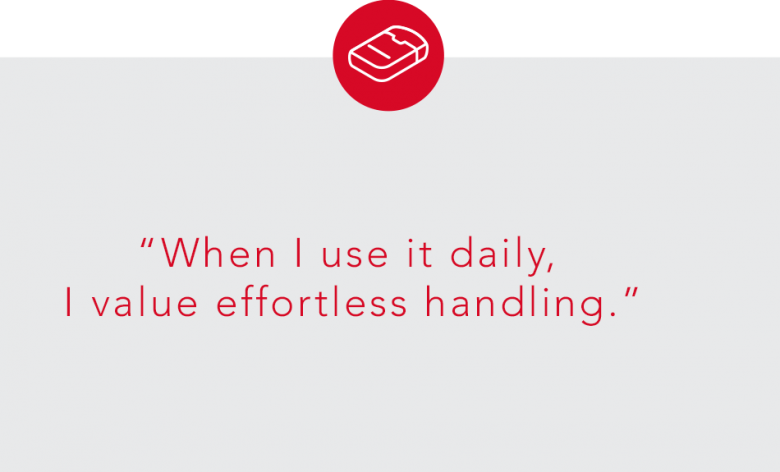 The revolutionary Styletto SLIM-RIC offers three unique advantages. Lead generator: Styletto’s ultra-slim design is preferred by 8 out of 10 people, which will prove successful in online and print advertising. Conversion driver: Adding Styletto to your portfolio will increase your instore conversion. When Styletto is included in the portfolio, the number of consumers who express a clear interest in Signia hearing aids increases by 14 percentage points. Differentiator: Styletto’s instantly recognisable design sticks best in people’s memory – 88 percent correctly recall seeing Styletto, ensuring your business has a clear distinction compared to others. 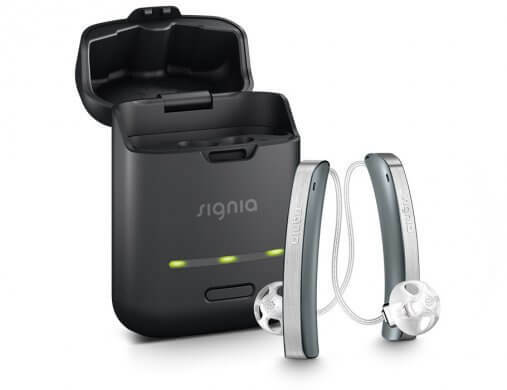 Take advantage of Signia’s uncompromised audiological benefits at all performance levels. 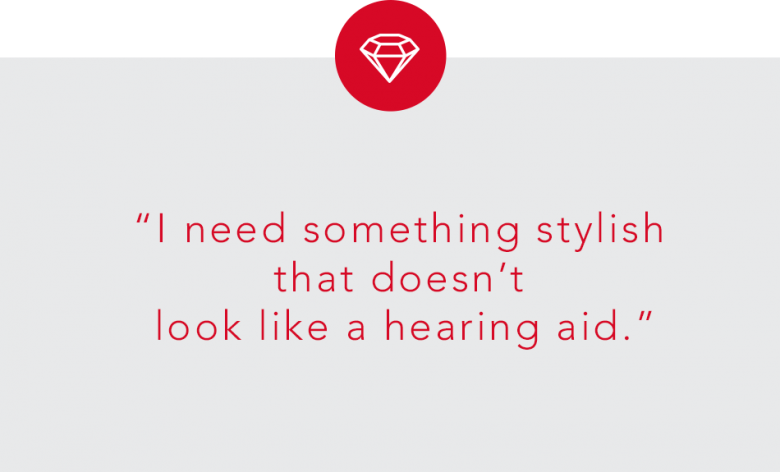 The world’s first SLIM-RIC combines style with high-tech hearing powered by Signia Nx. Signia NX also provides narrow directionality as an automatic feature at all levels, not just premium technology. 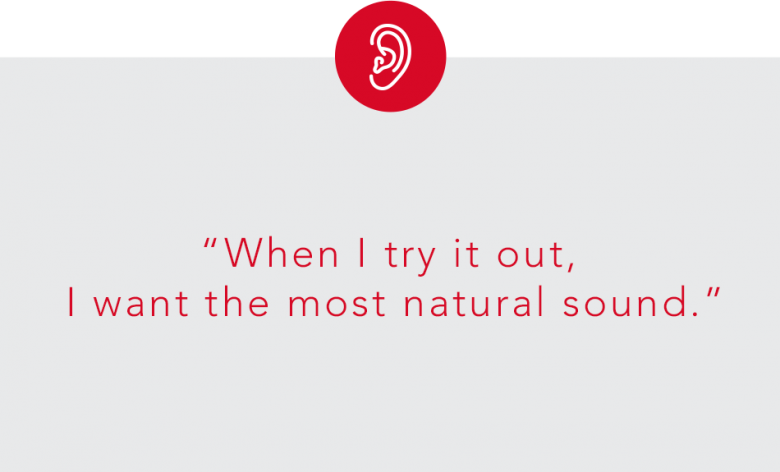 And our proven Ultra HD e2e technology supports full binaural processing for the clearest speech understanding in noise. 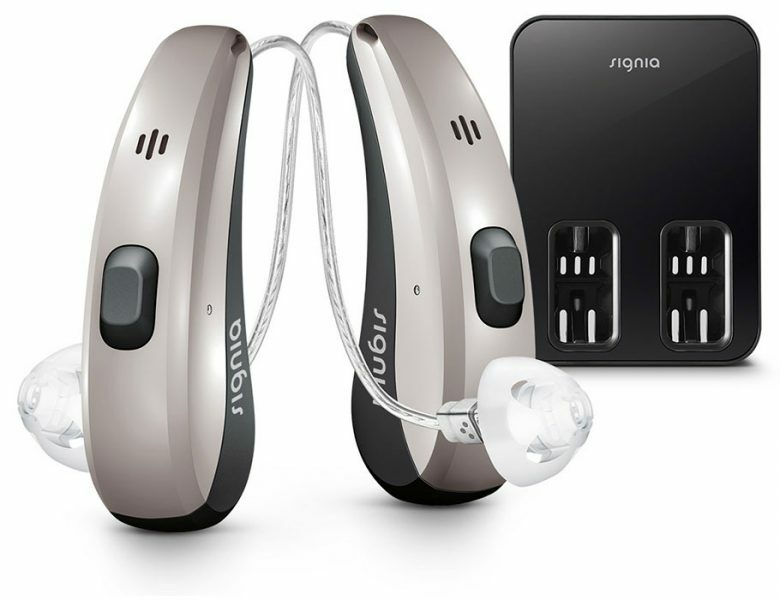 You and your clients can rely on Signia, the master of Li-ion rechargeable hearing aids. Not only do we have the greatest experience in this field (world’s first rechargeable RIC, world’s first Li-ion inductive charging). We also offer the only truly portable solution for charging on the go – three times smaller and half the weight of any other portable solution, our Styletto charging case is the only solution that fits in your pocket. It delivers an astounding four days* of user autonomy, free from plugs or cables – perfect for a relaxing weekend getaway or an important business trip. With Signia, your clients can also rely on hassle-free streaming via Bluetooth or accessories and use their smartphone to control their Signia hearing aids discreetly. We have unrivalled experience in this area as we were the first to combine Li-ion and Bluetooth technology with Pure Charge&Go Nx. Its high-capacity Li-ion power cell supports top reliable Bluetooth connectivity, allowing wearers to enjoy long-lasting high-quality audio streaming that is market proven! 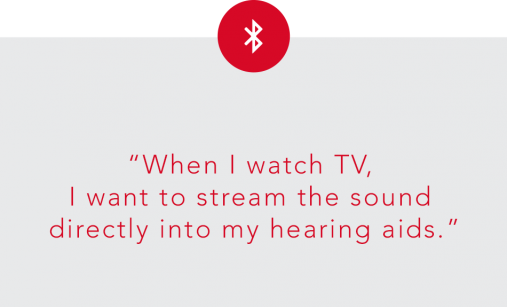 With our StreamLine TV the TV sound can be fed directly into Signia Nx hearing aids. 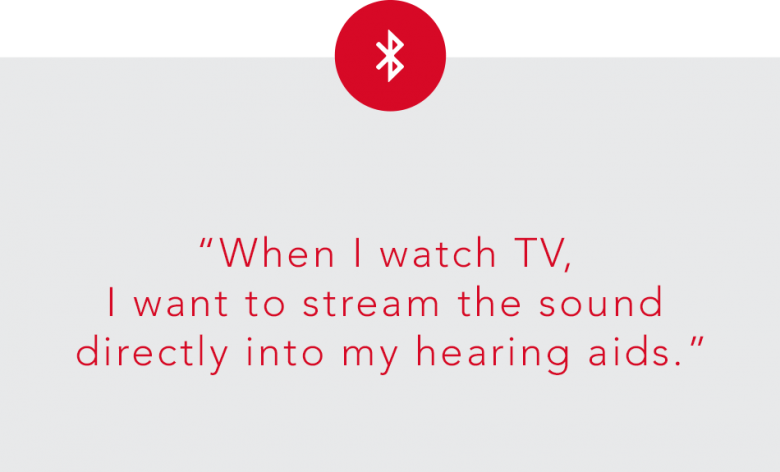 Wearers can even adjust the TV volume individually via the myControl App. 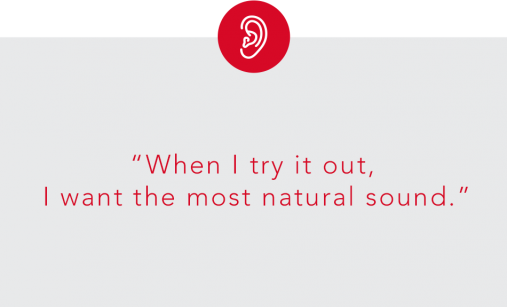 Just like love at first sight, our revolutionary SLIM-RIC form factor and reliable proven audiology give you the best tools to ensure your patients are satisfied with their hearing solution from day one and that they will remain long-term loyal customers. For the most natural own voice and highest acceptance.